Ready to start your next project? We have what you need! Sand, Soils & Fill Dirt, Mulch, Granite, Straw, Decorative Stone and more! Call us today for current pricing! We offer Sand, Soils & Fill Dirt, Mulch, Granite, Straw and Decorative Stone. Need something that's not on our list? Tell us! We may be able to special order it for you. Stone benches are functional and attractive accent pieces in any garden. Each piece of stone has it's own look. Handpick your favorite stones and customize your garden bench. We carry filter systems and pond supplies! Contact us for a list of products and prices. Be sure to visit the koi pond at American Sand & Gravel the next time you stop by! Our goal is to provide quality materials at affordable prices. Delivery is available for Columbus and surrounding areas. 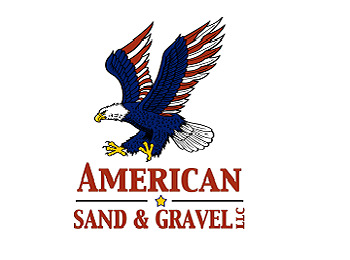 American Sand & Gravel LLC is dedicated to providing the best quality materials at the best price possible to help you complete your project. Formerly Cataula Sand & Gravel LLC, American Sand & Gravel LLC is located at 12 E Bon Acre Rd in Cataula in Harris County, Georgia. We've been in business for over 15 years and we look forward to serving our customers for many more years to come. Use our online Material Calculator to determine how much material you'll need to complete your project! Delivery is available for your convenience for Columbus and surrounding areas. Our delivery fee is based on your location. 'Like' American Sand & Gravel on facebook and get the most up to date info on sales, deals and steals! The red mulch I purchased at American Sand & Gravel is great. The color is bright and makes my flowerbeds stand out. I was so pleased with their customer service that I had a load of crush-and-run delivered for my driveway. I would definitely recommend American Sand and Gravel.